How efficiently can a farmer make use of his time? How efficiently can he make use of his inputs? How efficiently can he make use of his available resources? When it comes specifically to those available resources, there is one that stands above the rest in determining whether a farm sinks or swims. Steve Reimer has made increasing soil water storing capacity his work for nearly half a century. In an effort to increase water holding capacity, Reimer turned to what some would call drastic measures. 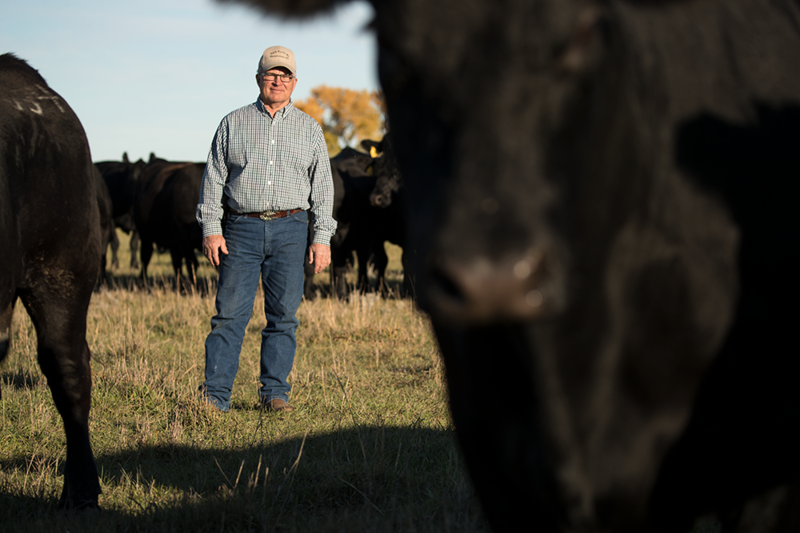 He transitioned to no-till, increased crop diversity through multi-species cover crops, and turned to paddock grazing. 40 years later, Reimer and his wife, Elaine, are proud to say that they have transformed the quality of their soil to the benefit of themselves and their land. News of this transformation has spread far beyond Brule, County. Recently, the Reimers were officially recognized as “Soil Health Champions” by the National Association of Conservation Districts. Once again, it all comes back to moisture. 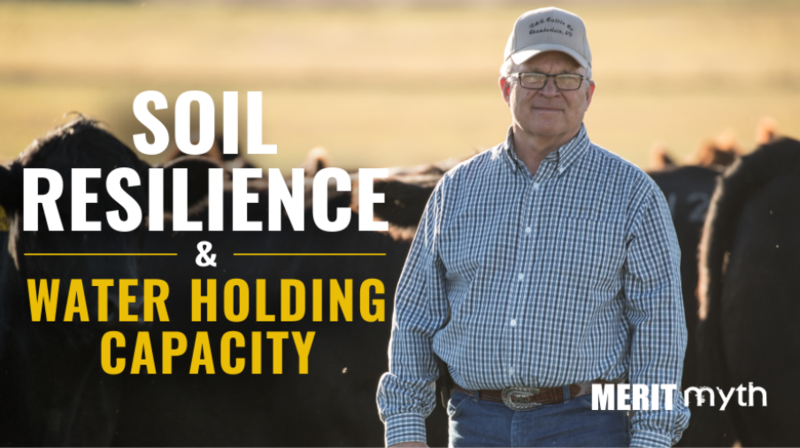 Reimer’s soil health practices position his operation for success, however, by not just retaining water in the short-term, but through building year-long soil resilience. Soil resilience can make or break a farming operation, especially in areas known for extreme conditions. If Reimer was not in position to withstand South Central South Dakota’s dry heat and protracted dry periods, who knows what the state of his operation would be? Just last year, he had one of his greatest tests yet. As Reimer can attest, a soil’s resilience is largely, if not entirely, derived from the soil’s health. 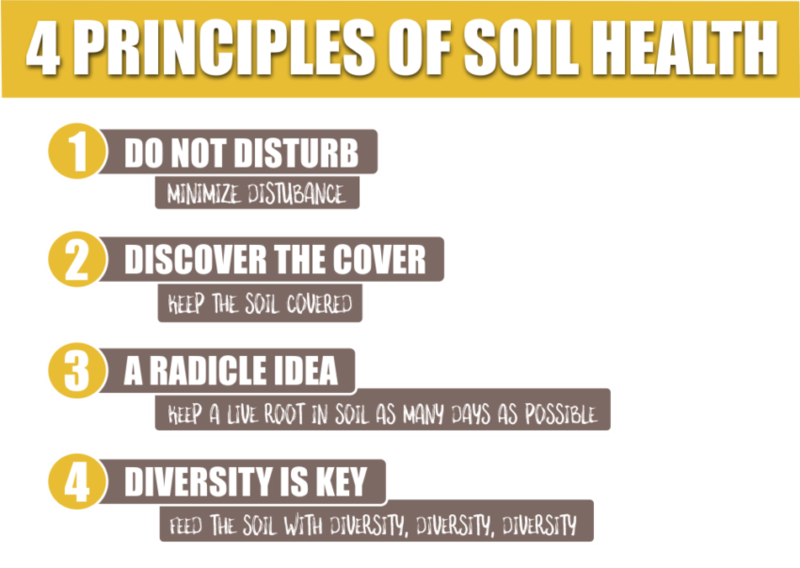 And we can’t build soil health unless we start to adopt soil health practices. When it comes to retaining moisture, these 4 principles can be the difference between farming success or failure. As always, don’t just take our word for it. Experiment and find out for yourself. Reimer will be the first to admit that he had his OWN reservations in the beginning. And thus, the journey towards soil health began. To learn more about water holding capacity, check out our in-depth videos breaking down this very topic!